Shop wars: who conquered Christmas? 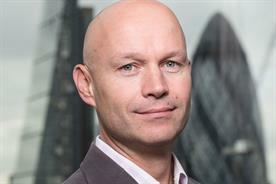 The 2013 Christmas trading war was fiercer than ever for some of the UK's leading retail brands. But have their much-discussed ad campaigns done what they were supposed to do - boost sales? James Swift looks at the data. Christmas 2013 was the first time that UK advertising got the Super Bowl treatment. Brands may not have received quite the same level of attention as they do across the pond on Super Bowl Sunday, but Christmas advertising this year became a major obsession on the business pages of the national media. 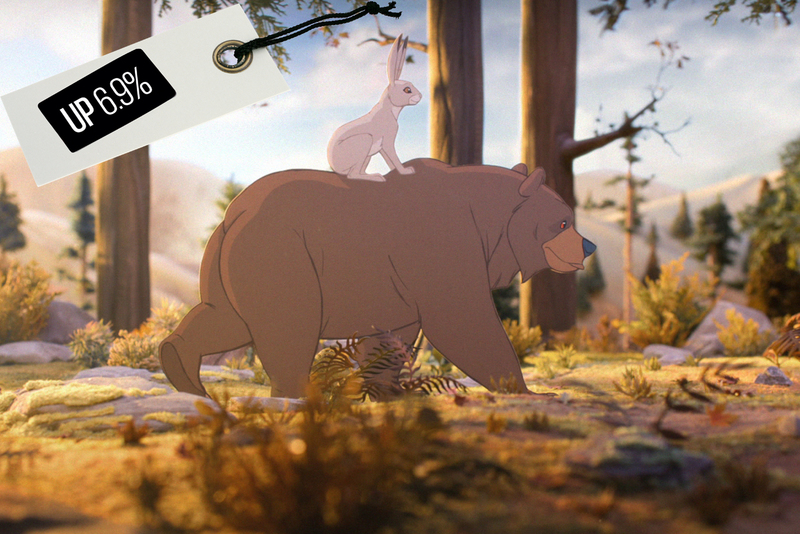 "I think what ad agencies do for their retail clients has become more high-profile than ever," James Murphy, the chief executive at Adam & Eve/DDB – which created John Lewis’ "the bear and the hare" – says. "People are looking at ad campaigns as a direct signifier of the health of the business." But many retailers found the festive period difficult. While the increasingly widespread adoption of Black Friday – traditionally the US’s biggest sales event – created an early shopping frenzy, this was followed by a lull before sales eventually picked up again in the final ten days leading up to Christmas. Many shops discounted too early and too heavily, and were left disappointed. 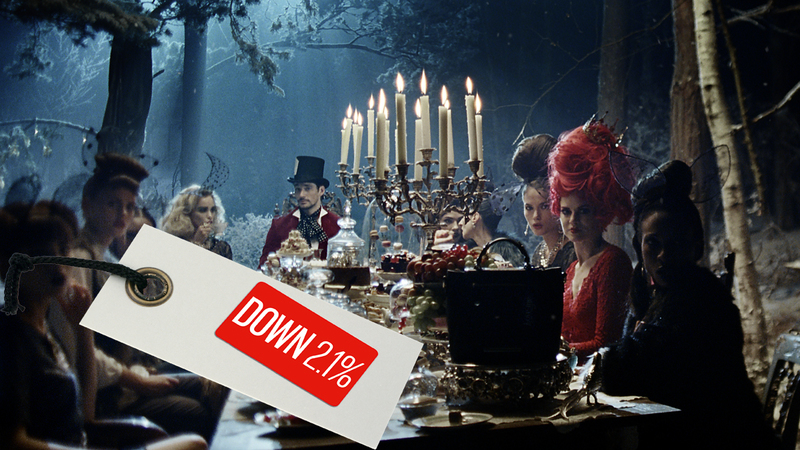 Campaign takes a closer look at the sales results of some of the biggest Christmas advertisers. John Lewis had the most high-profile advertising campaign (pictured, above) of Christmas 2013. In fact, it was probably one of the most high-profile ads of all time. The saccharine tale of a hare that buys a bear an alarm clock so that he can enjoy his first Christmas also appeared to have considerable persuasive powers. The soundtrack by Lily Allen spent three non-consecutive weeks at the top of the singles charts and sales of alarm clocks rose 55 per cent in the week after the ad first aired. More importantly, overall sales increased 6.9 per cent in the five weeks leading to 28 December, while online takings were up 22.6 per cent compared with the same period in 2012. The year-on-year improvement in sales was not as good as it was in 2012 (13 per cent), but the brand is building on its own success. Andy Street, the managing director of John Lewis, was sufficiently impressed with Adam & Eve/DDB’s campaign to mention it in a statement that accompanied the financial results, describing how many people "fell in love" with the brand’s TV ad. "The bear and the hare" has been viewed more than 11.5 million times on YouTube. Sainsbury’s Christmas campaign – a 45-minute documentary comprising festive home footage from families, with a short edit acting as the TV spot – was arguably the critics’ choice in 2013. 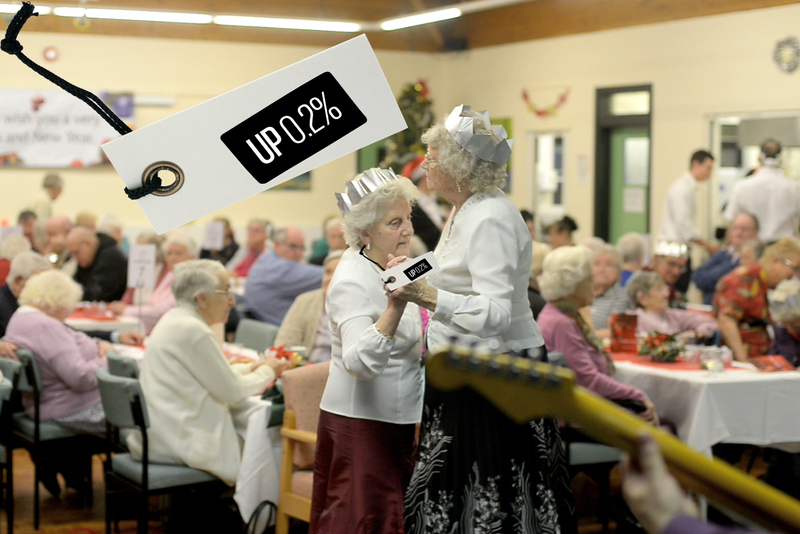 It won Campaign’s industry poll of most popular festive ads with 32 per cent of the vote. Part of the work’s charm was that it came out of nowhere, unburdened by the kind of expectation that surrounds John Lewis. Still, many questioned whether it would help Sainsbury’s sales. The ad features little Sainsbury’s branding and none of its products. Indeed, one scene even shows a rival’s goods. The doubters may have been right. While Sainsbury’s trumpeted its 0.2 per cent year-on-year growth in the 14 weeks to 4 January – the 36th consecutive quarter of growth – it was essentially a flat performance. That said, some analysts had expected sales at Sainsbury’s (as well as the other "big four" supermarkets) to fall towards the end the year amid competition from upmarket retailers and discount stores. So perhaps it was a victory of sorts. 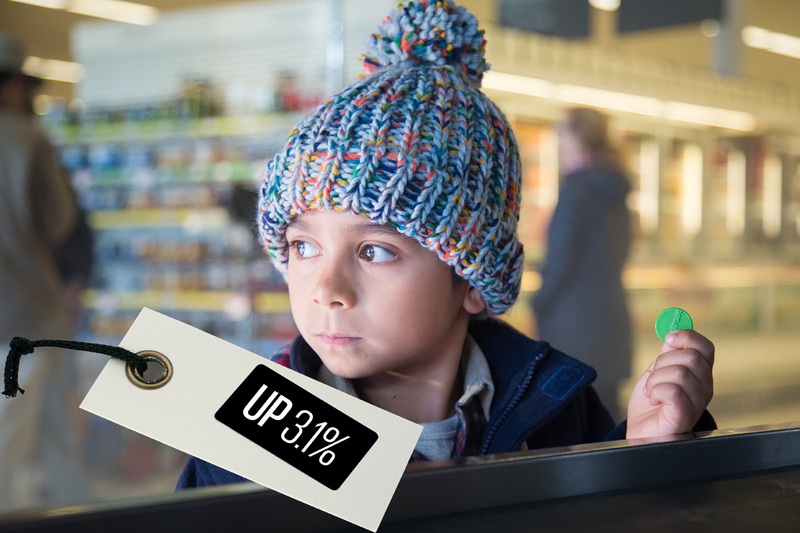 Food sales at Marks & Spencer were up 1.6 per cent in the third quarter of the 2013-14 financial year (ending December), but general merchandise sales – mainly clothing – fell 2.1 per cent. Marc Bolland, the chief executive, attributed the decline to the "highly promotional market" and unseasonably mild weather. It was the tenth consecutive quarter that clothing sales decreased and City analysts predicted that Bolland had as little as three months to turn things around before he faced the axe. M&S had focused its ads on fashion. Rainey Kelly Campbell Roalfe/Y&R created a lavish Christmas campaign starring David Gandy, Rosie Huntington-Whiteley and Helena Bonham Carter, as well as August’s "leading ladies" activity, which featured a host of well-known faces. However, to lay all the blame at RKCR/Y&R’s feet for the poor clothing sales would be harsh. The agency’s work for M&S’s food has worked wonders and its two most recent clothing campaigns earned plenty of media attention. Not all retailers have released their results yet, but it already appears that the upmarket grocers, such as Waitrose, will have outperformed the bigger supermarkets including Asda and Sainsbury’s. Waitrose’s sales – excluding fuel – for the five weeks ending 24 December were up 3.1 per cent on the same period in 2012. The supermarket’s 2013 Christmas marketing was almost identical to its 2012 campaign. Bartle Bogle Hegarty created ads that discussed Waitrose’s charity work, which, although well-made, were the least popular in Campaign’s Christmas advertising poll last year. The retailer still promoted its Christmas range of products, but Mark Price, its chief executive, was reported as saying that the charity focus in its festive marketing demonstrated Waitrose’s wider role in society and the communities in which it trades. Given that sales also rose 4.3 per cent over the Christmas period in 2012, it appears to be a strategy that does no harm to Waitrose’s bottom line. 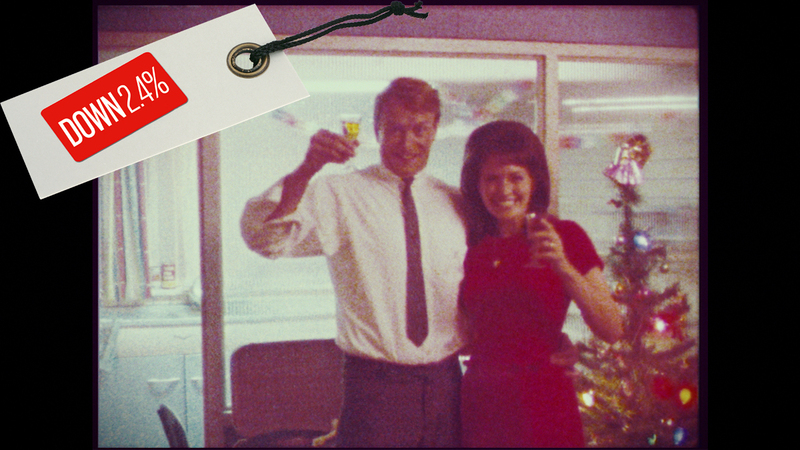 Tesco’s 2013 Christmas spot was one of the first out of the blocks – a nostalgic look at one family’s festive holidays together throughout the decades. But Sainsbury’s stole its thunder with a campaign that used real footage of families at Christmas. It made Tesco’s effort look a little false. And while Sainsbury’s scraped a 0.2 per cent rise in sales, Tesco’s slumped 2.4 per cent (excluding petrol) on a like-for-like basis in the six weeks to 4 January. Philip Clarke, the chief executive, blamed the weak grocery market in the UK for the worse-than-predicted performance. It was not a happy Christmas for Morrisons. 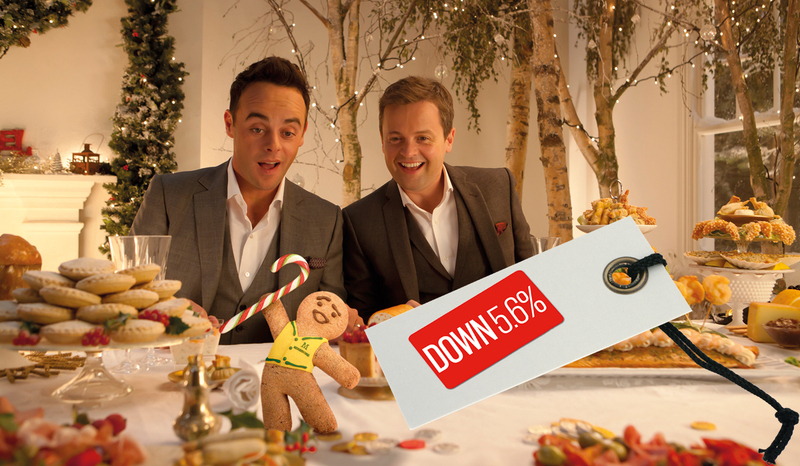 Its cheery, Ant & Dec-fronted TV spot was panned and it was one of the worst-performing retailers over the period. In the six weeks to 5 January, Morrisons’ sales were down 5.6 per cent year on year. Dalton Philips, its chief executive, blamed competition from discount retailers such as Aldi and Lidl, as well as Morrisons’ lack of online resources. It is not clear what the bad results mean – if anything – for the supermarket’s ad agency. But it would be a cruel blow to DLKW Lowe, which retained the £73 million account after a hard-fought, four-month pitch in August 2013, to have to prove itself again so soon. Super Bowl in numbers: which brands are making a viral splash?